The PCM-2000 meant a huge step ahead combining the two pieces of equipment into one small form factor and ofcourse tiny DAT-tapes compared to Betamax tapes. 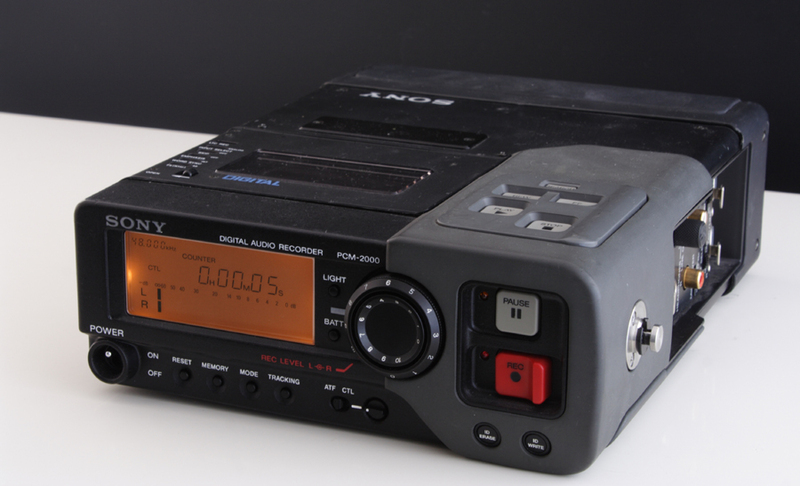 Later the PCM-2000 was replaced by much smaller models like the TCD-D10 PRO MKII and other TCD models. Sony did a special job on the record level knob. It's a nice, solide knob with little ribs on the side. Normally you set both left and right by turning the knob. By pushing the knob in, the middle part pops out, allowing you to set left and right individually. 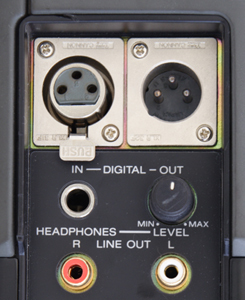 The two balanced XLR inputs for the microphones indicate it concerns a professional piece of equipment. XLR plugs are firmly locked so they can't be disconnected accidently and the balanced signals guarantee quality. 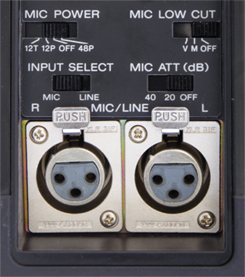 Besides that the PCM-2000 also offers power for the microphones in different settings, low cut and attenuation. 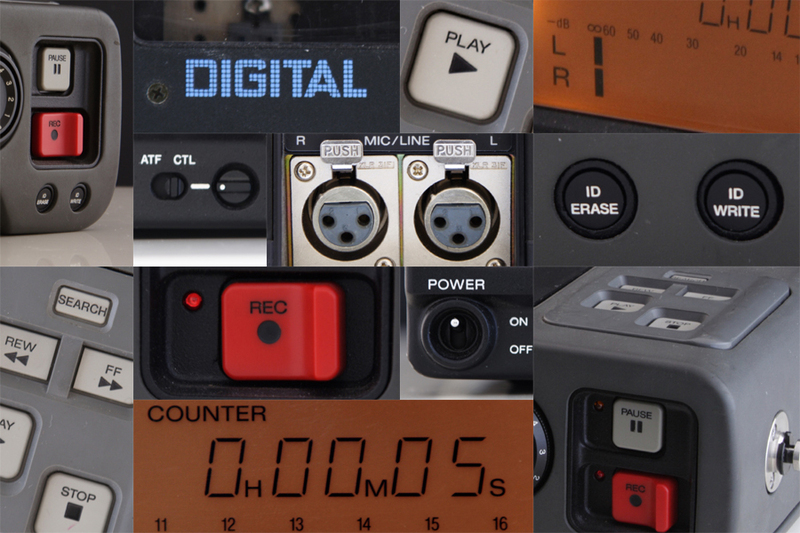 Ofcourse the PCM-2000 offers a digital out. Interestingly enough it also has a digital in. For analog it only provides cinch out and an adjustable headphones, no line in. It's either digital in or microphones. The LCD display has a backlight that only lights up when you press the LIGHT button. It automatically turns off after 10 seconds :-( regardless of whether it operates on battery or power. 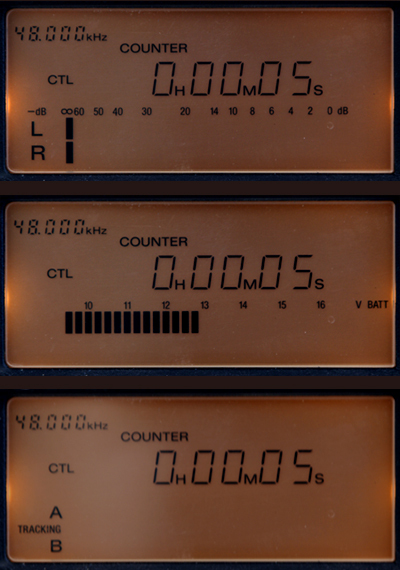 Normally the bars at the bottom of the display work as VU meters. When you press the BATT button, it will change the scale and show how full the battery is charged. You can also use the bars when you are manually tracking the heads.